This is an eight track railroad crossing in Lyd, a historically Palestinian city within pre-67 borders Israel (called simply “48” by most Palestinians) which is very poor and is undergoing a heavy process of Judaization (the structural and ideological process of converting more and more parts of Palestine into Jewish-only areas). This crossing is the ONLY entry into “the Station”—the name of the largest Arab neighborhood. Over 300 trains pass by in a day from all directions, so Palestinians have to wait for 10 minutes, 20 minutes, 30 minutes, or more EVERY time they want to cross in and out of their neighborhood. 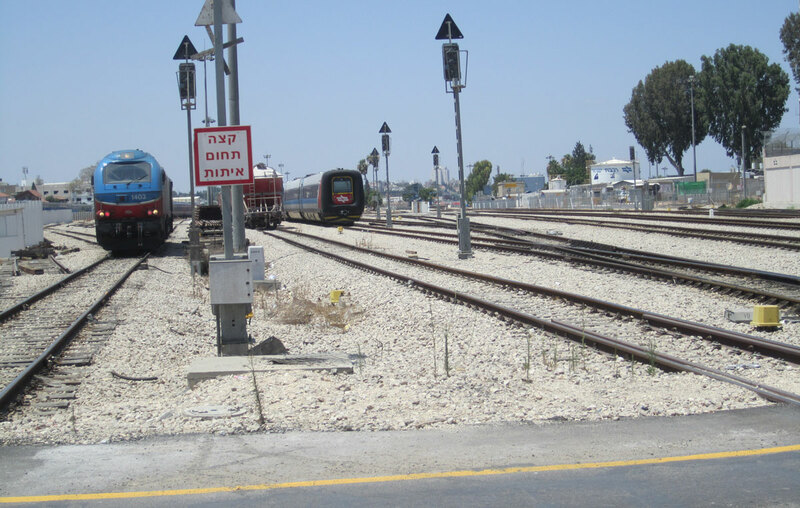 This is the most dense train crossing in all of Israel, conveniently structured to block off the Palestinian neighborhood.